Experimental laboratory data have indicated a protective effect of vitamin D on breast cancer progression, while epidemiological evidence is growing. 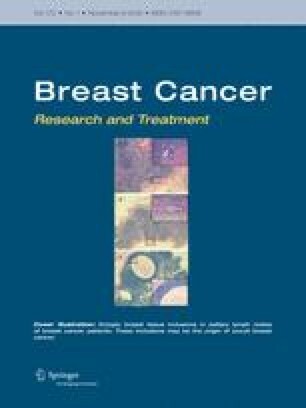 Using pharmacy claims data, this study investigates the association between vitamin D supplement use initiated after a breast cancer diagnosis and associated mortality. Women aged 50–80 years with a record of invasive breast cancer were identified on the National Cancer Registry Ireland database (n = 5417). Initiation of de novo vitamin D post-diagnosis was identified from linked national prescription data (n = 2581, 49%). Multivariate Cox proportional hazards models were used to estimate adjusted HRs (95% CIs) for breast cancer-specific mortality. There was a 20% reduction in breast cancer-specific mortality in de novo vitamin D users (modelled as a time-varying variable) compared to non-users (HR 0.80; 95% CI 0.64–0.99, p = 0.048) and the reduction was greater at 49% (HR 0.51; 95% CI 0.34–0.74, p < 0.001), if vitamin D was initiated soon after the breast cancer diagnosis (within 6 months). In this large national breast cancer cohort, de novo vitamin D use post-diagnosis was found to be associated with a reduction in breast cancer-specific mortality. Vitamin D, therefore, has the potential as a non-toxic and inexpensive agent to improve survival in breast cancer patients. Findings support the need for RCTs exploring the effect of vitamin D supplementation on breast cancer survival. The online version of this article ( https://doi.org/10.1007/s10549-018-4896-6) contains supplementary material, which is available to authorized users. We would like to thank the National Cancer Registry in Ireland (NCRI), the General Registry Office and the Irish HSE-PCRS for providing access to the data upon which this study was based. In particular, we are grateful to the Data Team at the NCRI for linking the datasets and Dr. Sandra Deady and Mr. Christopher Brown for preparing these for analysis. The interpretation and reporting of these data are the responsibility of the authors and should in no way be seen as the official policy or interpretation of the NCRI or the Irish HSE-PCRS. The authors would also like to thank Prof Michael J. Duffy for his advice and input while preparing the manuscript and Dr. Ian Barron who originally proposed the manuscript. This work was supported by the Irish Cancer Society Collaborative Cancer Research Centre BREAST-PREDICT (CCRC13GAL) and the Health Research Board Ireland (HRB-RL/2015/1579). The Health Research Board Ireland and the Irish Cancer Society had no role in the study design; collection, analysis, and interpretation of data; writing of the report; or the decision to submit for publication. The use for research of anonymised data held by the NCRI and PCRS is covered by the Health (Provision of Information) Act 1997.